Finally got her off of stands today after bleeding the brakes and a few other bolt ons. Lots more to come but I sold my DD so I’ll be in this for the summer. Last edited by careercadaver; 06-04-2018 at 04:32 PM.. I'd hate to have to roll that for the summer! I do hate you a little for those wheel arches... guess I just have to find a car from Florida then. Thank you! 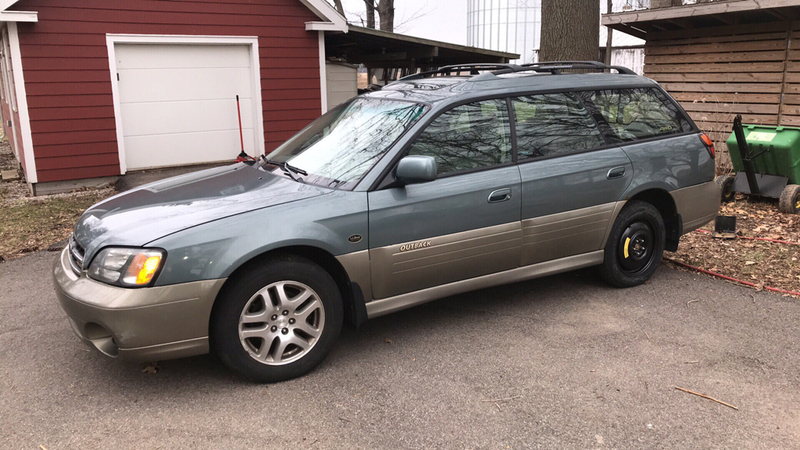 Hoping to pick up another car before winter is all. I’m sure I’ll miss the power of my STi but not the premium fuel and insurance. R.I.C.E. - Race Inspired Cosmetic Enhancements. Till she has some power mods we’re classy but still kinda in this category. She’ll be faster one day but for now I think I’ll enjoy the stress relief of not having a turbo vehicle for a time. I definitely recommend southern cars. The PO even went so far as to undercoat. I’m having to uncover bolts to break them lose and finding they still have zinc coating. The H6 has also become a bit of a mixed bag. If you ever want turbo we’re pretty much talking stand-alone and forged internals. Deciding if I can leave it alone...unlikely. Last edited by careercadaver; 06-05-2018 at 02:44 AM.. I know what rice is, I just don't see it. 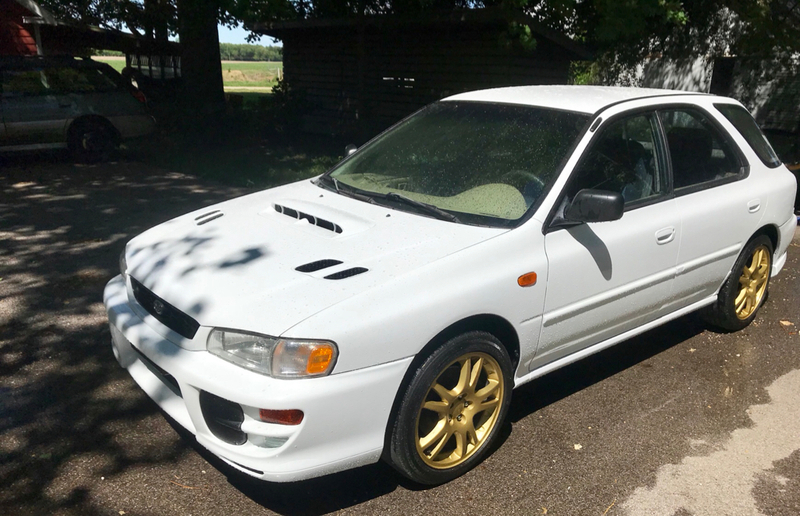 Sporty for sure, but isn't everything OEM Subaru non-turbo stuff? Hey if you say it's rice, well it's your car. I just hope you're not concerned about it because it does look great. I believe I also read the ez30s have hollow cams. The eg33 has its own bag of gremlins as well. I personally think the eg33 is much much cooler of an engine but the plug and play nature of the ez30 makes the bay look stock. 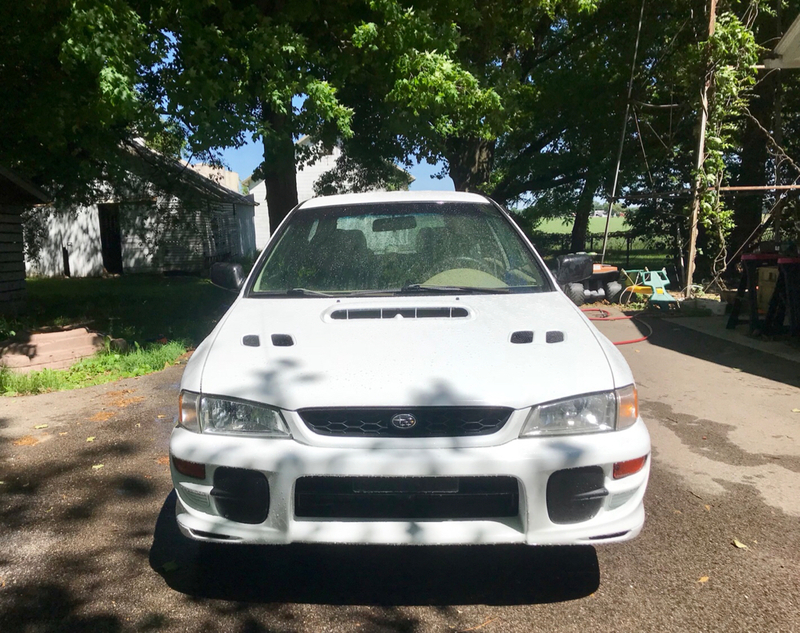 Decision decisions...I’ll probably do the headgaskets on it and decide, from there, if there’s interest in the platform. I had one of those. Same color and everything. 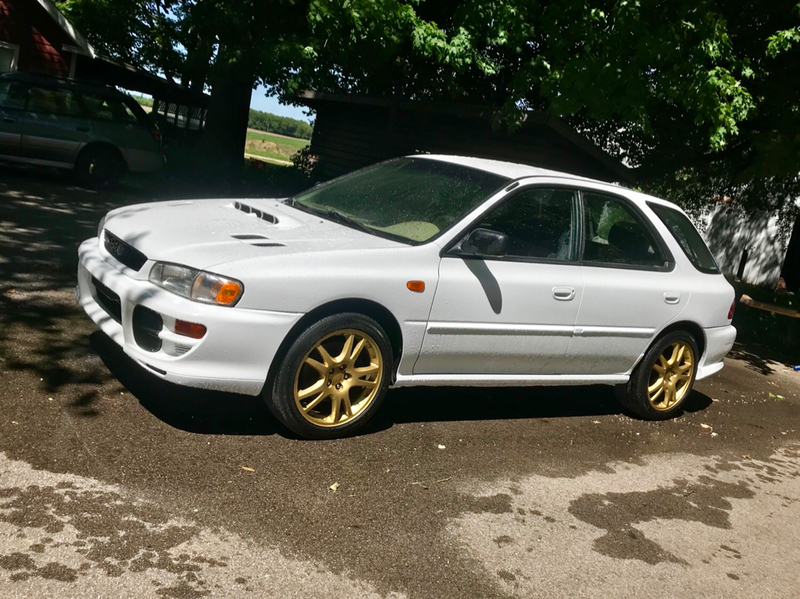 Was a 5 speed model which has the exact drivetrain as an '01 RS. Plan was to keep it around so I could swap everything from the car that will never be finished into it when I crash the car that will never be finished. I still cling to the 'Plug and play' 400hp dream. I did end up selling the twin to your car though. Not because it was a bad car, but because my buddy who was daily driving it doesn't know how to check oil. That generation of outback is awesome. They make for a great DD. 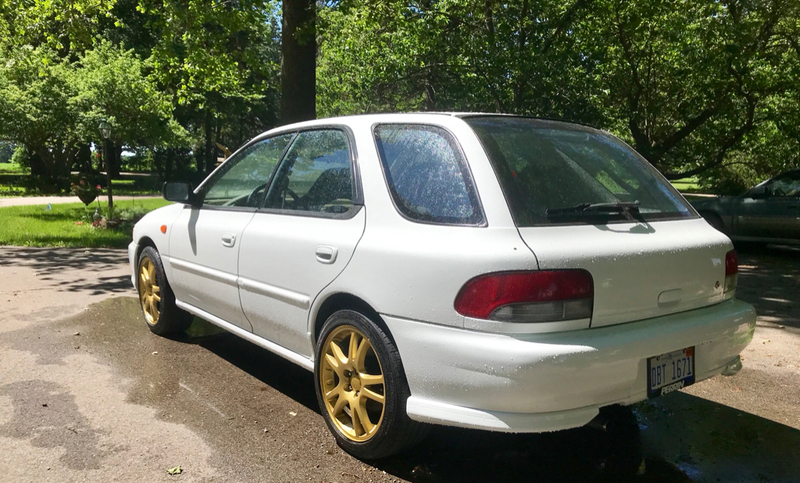 Last edited by FryphaX; 06-05-2018 at 05:57 AM..
Too bad those don't come standard, I'd say swap it to a 5 speed then you've got one badass wagon! I definitely intend to try to boost my SVX! 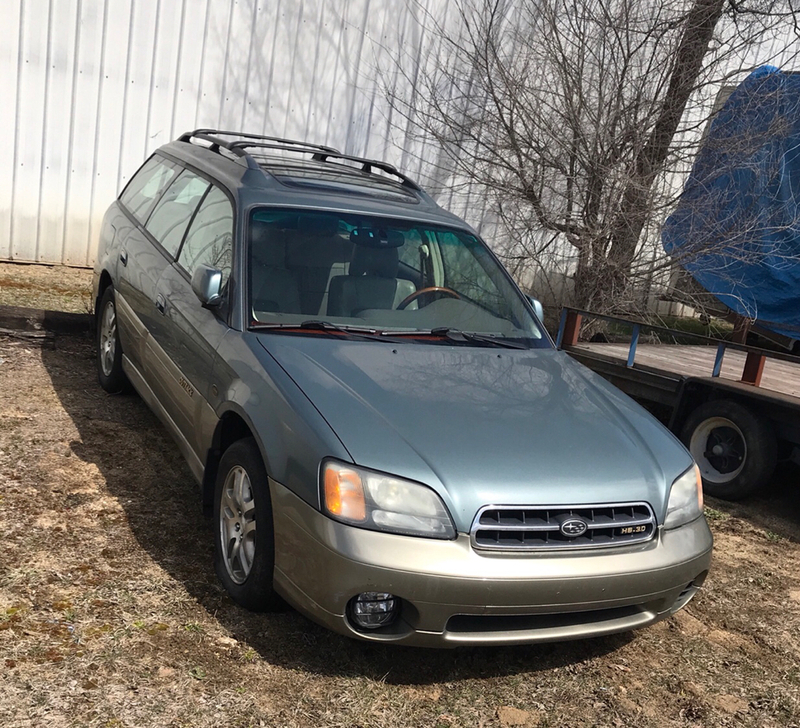 Are you talking about the third gen outback? Those certainly did come with a standard.